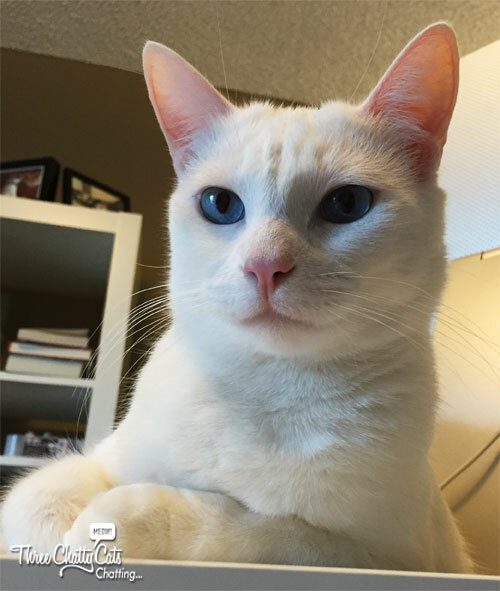 Sophie here! You may remember that the Human Lady Mama told you how she attended America’s Family Pet Expo last month. You can read all about that here. At the end of the post, she teased that she was going to be sharing an adoption story that came from that very expo. That is one of the things that makes the expo so great – all of the animals who find forever homes! 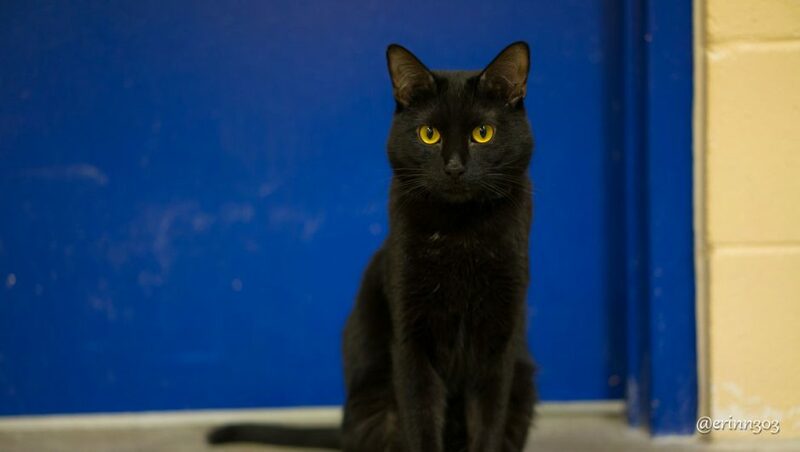 Since the Mama said I could have more blog time, I thought I should be the one to tell you about this fellow kitty’s adoption. 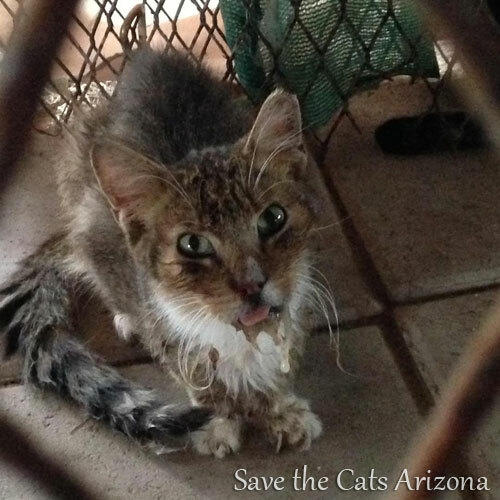 One of the wonderful cat rescues we have featured is Save the Cats Arizona. 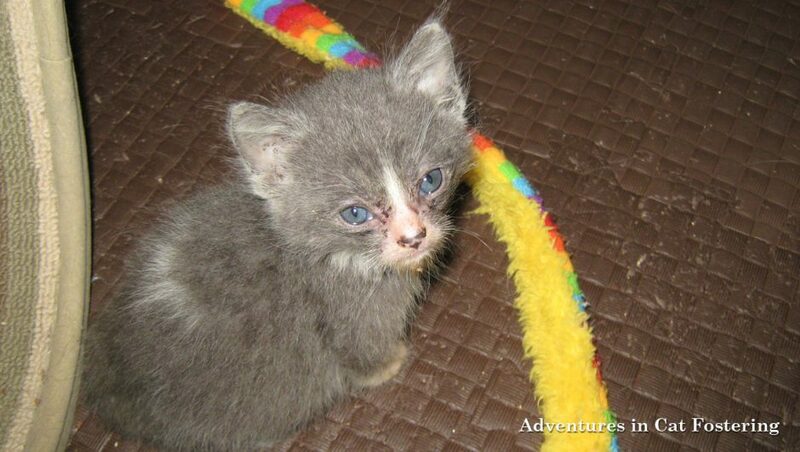 They are a 501(c)3 sanctuary based in Gilbert, AZ – and you can read their profile post here. 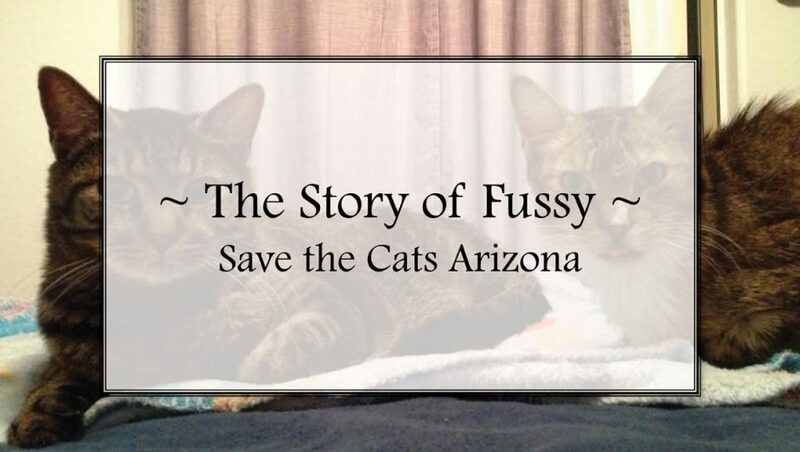 Today we get to share with you one of their rescue stories, as told by Terry, a Board Member and the Volunteer & Sanctuary Coordinator for Save the Cats Arizona. 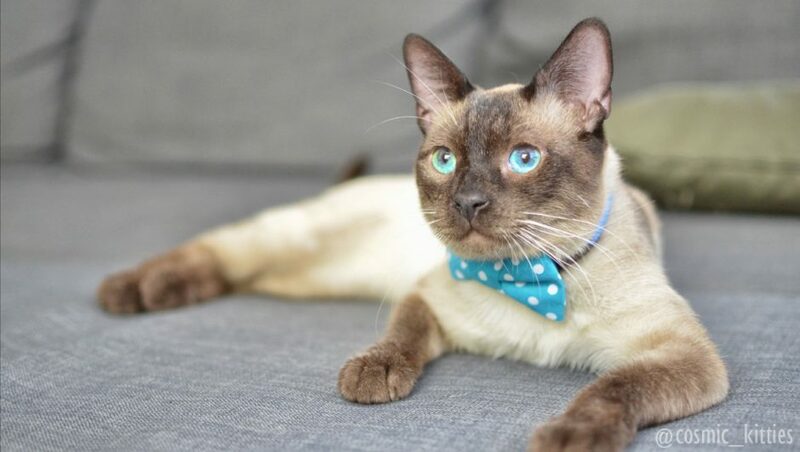 Today’s heartwarming tail tale comes from Jo Singer, the “two-legged furless one” behind the wonderful site Purrabula – A Feline’s Search for Meaning. But before you mosey on over to read the musings of Jo’s three cats, why not learn about how the gang of three came to be and how Jo became their chosen one. 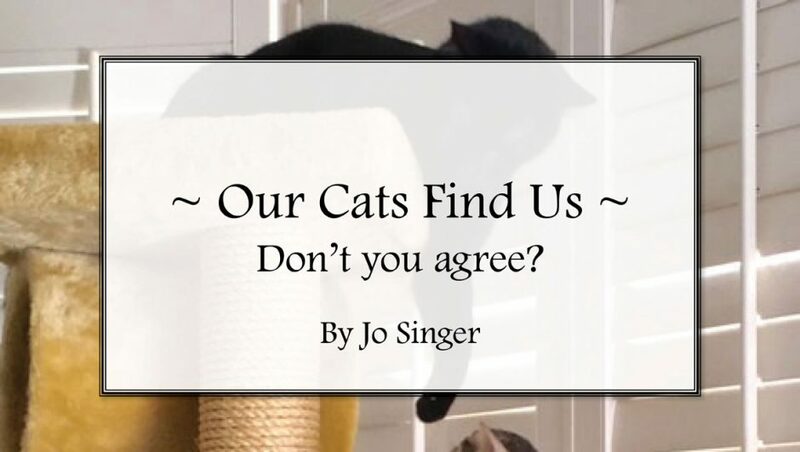 Our Cats find us: Don’t you agree?